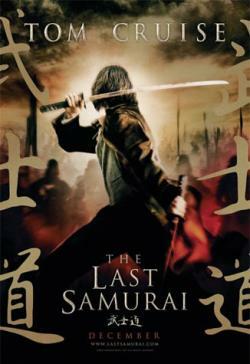 A new teaser poster from Tom Cruises' The Last Samurai is now online courtesy of LatinoReview. Set in Japan during the 1870s, Capt. Nathan Algren (Tom Cruise) is a respected American military officer hired by the Emperor of Japan to train the country's first army in the art of modern warfare. As the Emperor attempts to eradicate the ancient Imperial Samurai warriors in preparation for more Westernized and trade-friendly government policies, Algren finds himself unexpectedly impressed and influenced by his encounters with the Samurai, which places him at the center of a struggle between two eras and two worlds, with only his own sense of honor to guide him.